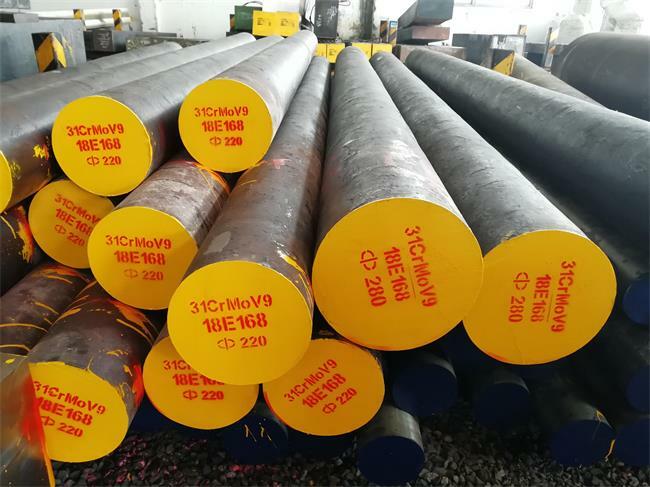 31CrMoV9 is a nitriding steel which has at least 2.3%Cr,0.15%Mo,0.1%V as strengthening alloy elements. 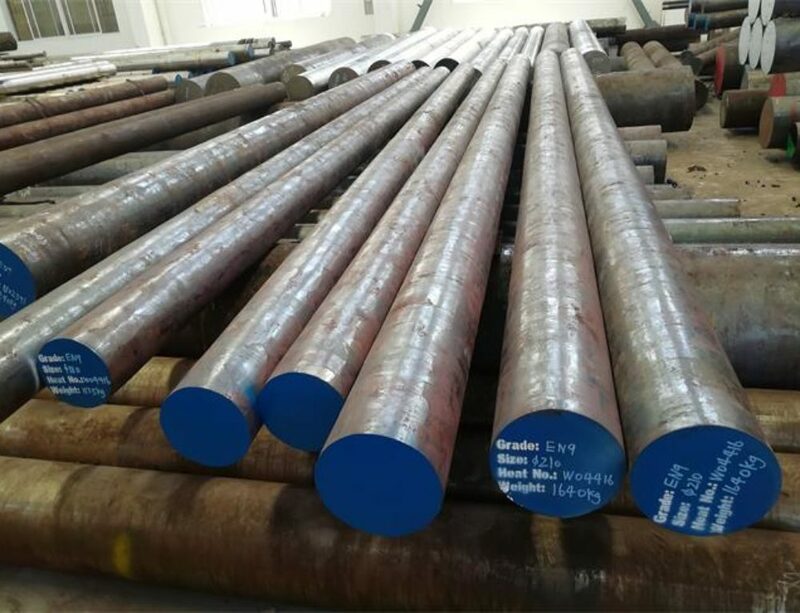 Due to its high wear resistance,it is mainly used in the automotive industry and general components mechanical engineering.30CrMoV9 is difficult to weld and therefore should not be used in weld constructions.It can attain surface hardness of 800 HV after nitriding.31CrMov9 is directly involved the nitriding steel 30CrMoV9 (DIN1.7707). 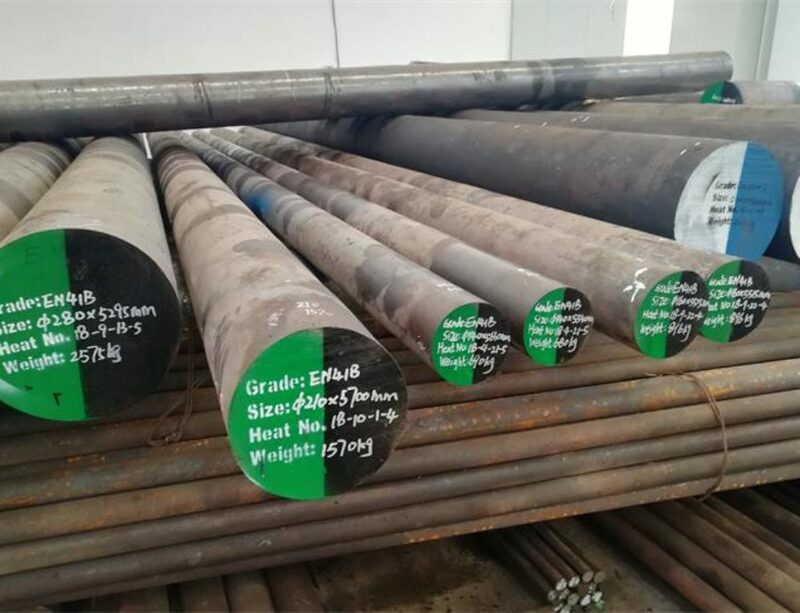 Heat the temperature between 1050℃-1150℃,hold suitable time for the steel to be thoroughly heated.Reheat the steel once temperature below 850°C. 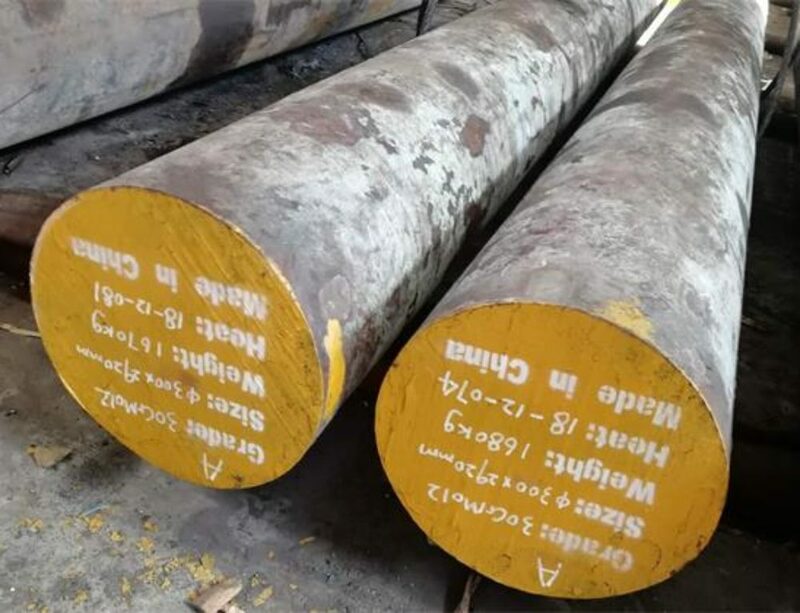 Crack is easily occured when improper cooling way after forged,so it should be cooled as slowly as possible in the furnace or in sand after forged. Heat to 650-720℃, cool slowly in the furnace. This will produce a maximum Brinell hardness of 248. 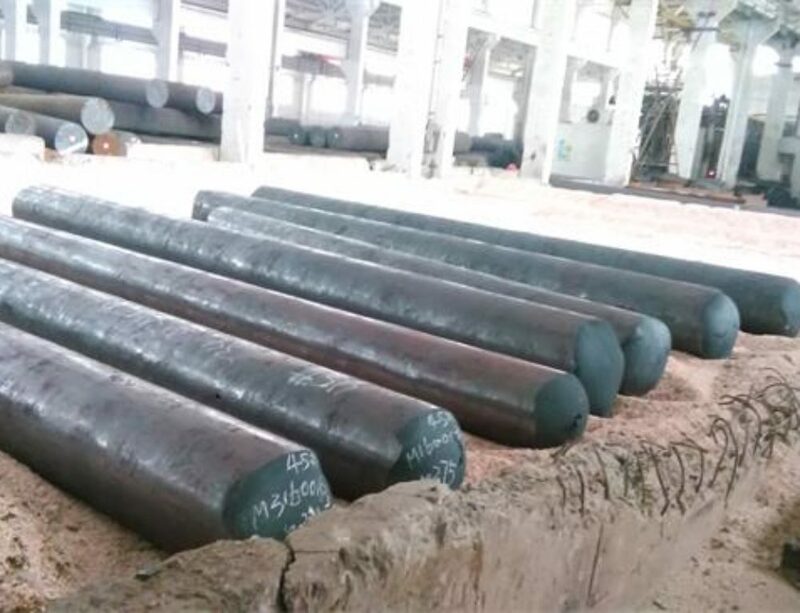 Harden from a temperature of 870-930℃, followed by oil/polymer or water quenching. 31CrMoV9 nitriding steel is used in mechanics automotive and general mechanics, which must be nitrided for very high wear forces, for example, gears, rods or axes.Structural parts of medium and large cross sections and high surface hardness, e.g., valve and gate valves, cylinders for combustion engines, superheated steam valves and fittings.